JIRA Service Desk does not have the built-in capability for users to see support questions from other users. In many situations, this would be useful – for example when multiple requests come from the same company or team. Collective Issue View, a new add-on from our JIRA development team fills this gap. Collective Issue View allows users to view the requests that their colleagues have submitted. The add-on allows users to view both the active requests and history of requests from those in the same Unit. The solution offered by this add-on is to group users into Units. With this, you can create diverse user groups within an organisation, for example: the entire company, teams, or departments. The visibility of requests is limited to the Unit. JIRA Service Desk Administrators can collect multiple existing JIRA Groups into larger groups. A user, who is a member of a specific Unit, can see all Service Desk requests that have been submitted from any other user from their Unit. When JIRA Service Desk administrators have already separated their users into groups, and do not want to create new Units, they can use their existing JIRA groups in Collective Issue View. The administrator must configure a custom field which the add-on uses to query group membership. Then, when a user creates a new request, all other users in their JIRA group are added to the request when it is submitted. In this way, users in the specific group can see the all the requests raised by that group's users. 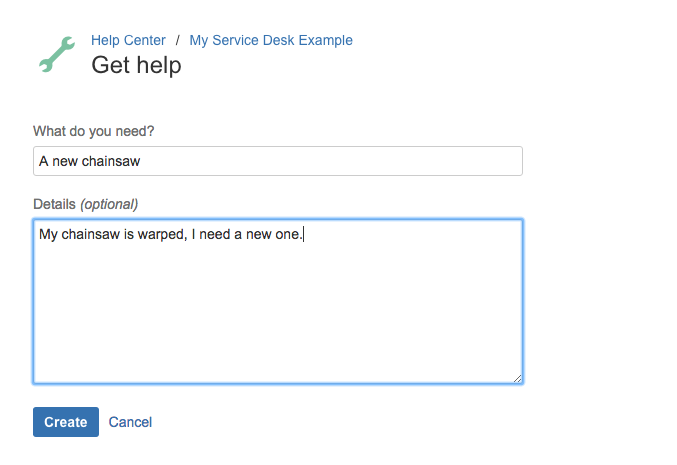 A user creates a new request in JIRA Service Desk. The other users in their group are automatically added to the JIRA Service Desk request when it is submitted. It is important that JIRA Service Desk administrators can create a structure to meet their needs, and thanks to Collective Issue View, they now can. For users, this add-on offers more transparency, and for administrators it offers more flexibility for user integration and reduces the overhead of duplicate requests. Our new add-on is available from the Atlassian Marketplace. Do you have any questions about Collective Issue View? Would you like to test the add-on or purchase licenses? Please don't hesitate to contact us!